Many of you would have had the traumatic experience of losing your valuable degree certificates or marklists of any University or College. You may be in urgent need of the same to appear for an interview or apply for any higher studies etc. You can apply to the particular University for issuing a duplicate certificate or marklist. This involves some procedure. Go to the nearest police station and file a complaint mentioning the loss of the certificate and the details of the certificate. Get a copy of the FIR. Publish in the newspaper informing the loss of the marklist or certificate. This step is optional but some universities may ask for it. Apply to the University to issue the duplicate marklist or certificate. Prepare an affidavit for duplicate marklist mentioning all the important details like Your Registration number or USN, year of issue of marklist, name of University and the college you studied, name of the course you studied and the course duration. Get the affidavit attested by a Notary. Write a covering letter to the University informing of the loss of the particular marklist and request for a duplicate to be issued. Once you have decided to apply for the duplicate marklist or certificate, you need the affidavit in the first instance. So making an affidavit should not be a time consuming process and this can be easily created on our website. 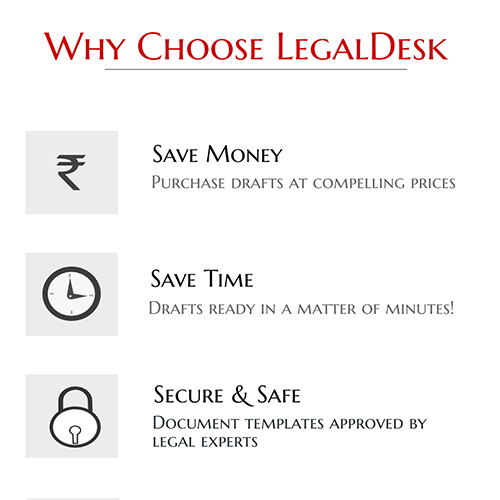 All you need to do is go to LegalDesk.com and click on the affidavits column. You will get a list of affidavits and you can choose to make this particular affidavit from that list. Fill the form with all your details, download and print it, or get us do that for you and deliver to your address.